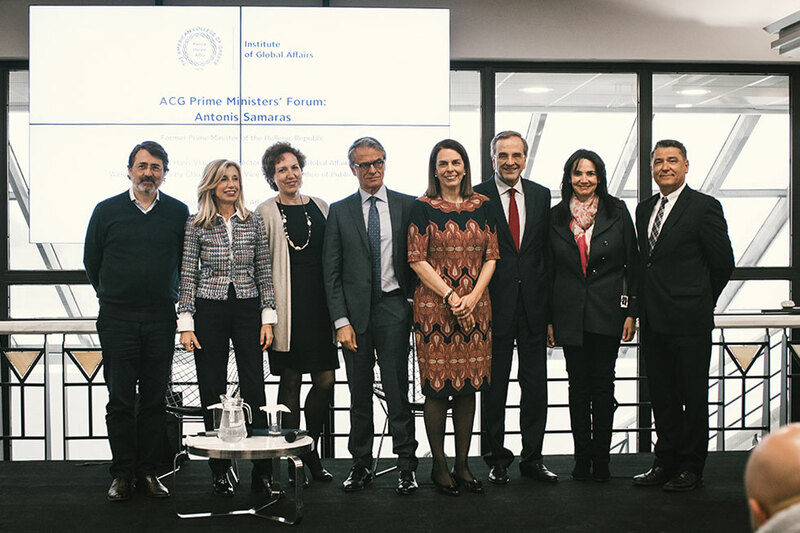 On Friday March 29, 2019 the ACG Institute of Global Affairs launched a new series of events, titled ACG Prime Ministers’ Forum. 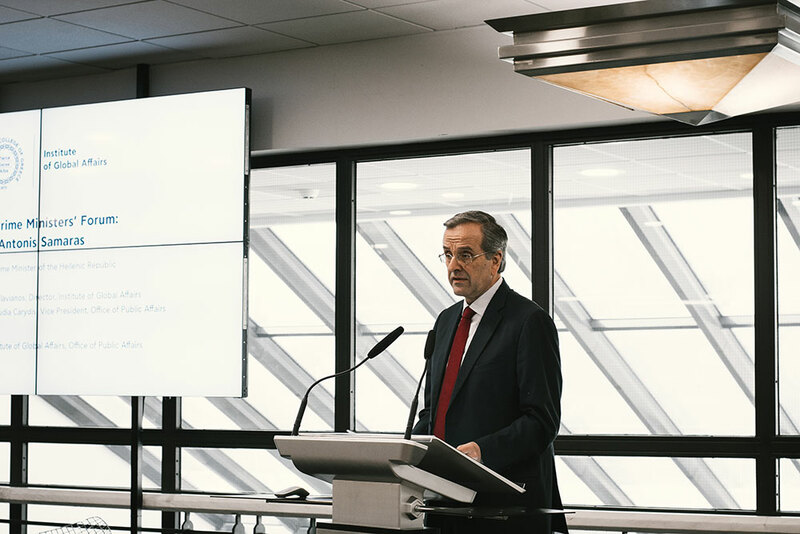 The first guest speaker was the former Prime Minister of the Hellenic Republic, Mr. Antonis Samaras. Students of Deree – The American College of Greece had a unique opportunity to engage in an interactive discussion with Mr. Samaras about politics and leadership skills. In her welcome remarks, Ms. Claudia Carydis, Vice President of Public Affairs, referred to the goal of this new Forum which is to offer the opportunity to Deree students to meet in person with prominent political personalities in order to get a deeper understanding of how leaders operate at the highest level of the political hierarchy, the kind of challenges Prime Ministers are faced with and the type of skills they need to possess in order to cope with these challenges. Professor Haris Vlavianos, Director of the Institute of Global Affairs, moderated a lively discussion that followed with many questions coming from the students in the audience. Guest speakers to this Forum will gradually include other Greek, as well as foreign political leaders, of different political backgrounds, aiming at exposing the students to diverse political opinions and ideas, in the context of a sincere and open dialogue.